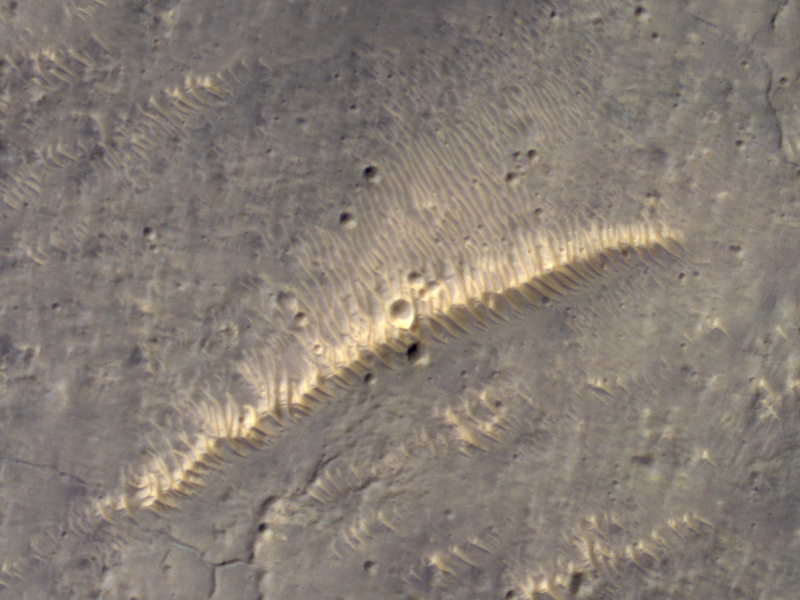 See my guest blog for The Planetary Society on the difference between ripples and dunes. A piece of Mars: Last week I wrote an image caption for Curiosity, showing both the HiRISE perspective and Curiosity’s image of the ripple crossing Dingo Gap. Read more on the HiRISE image page. Yes, this is a bit of windy Mars. Really.